2018 has come to an end, and it’s time to take some resume. In this issue we will tell what interesting happened in the outgoing year, and what phenomena in design gained momentum. And also about the eighteenth trends that we like, and which, of course, in the coming years will remain actual. Very little time is left before the holiday bustle, so it’s time to think about gifts. This is a digest for November in which we will talk about a giant Christmas star, a redesign of the main location of gay parties in the suburbs of Sydney, vegan leather, a modular wooden structure, a sunny hotel in the rainiest city of Norway and furniture reminiscent of children’s building blocks. ¡Hola! We took some rest to gain strength. We’ll upload videos about our trips only on our ‘live’ channel. 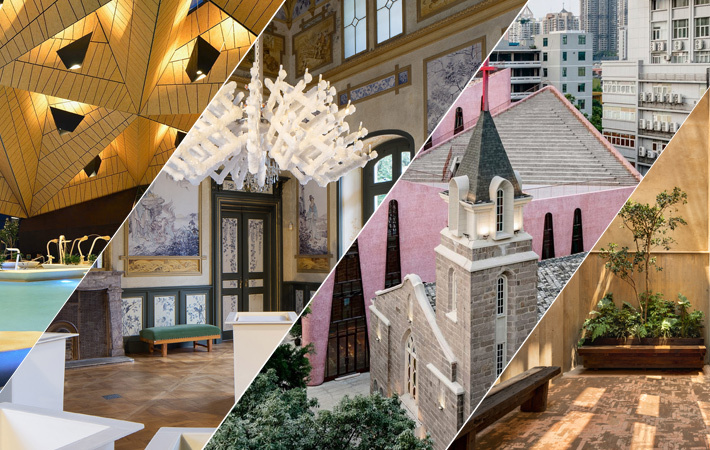 This is a digest for October, in which we talk about the pink Church hall, about a chandelier made of alum crystals, a house made of sand-colored concrete, about a marble apartment showroom, about a wellness center and about “Love is in the Bin”. 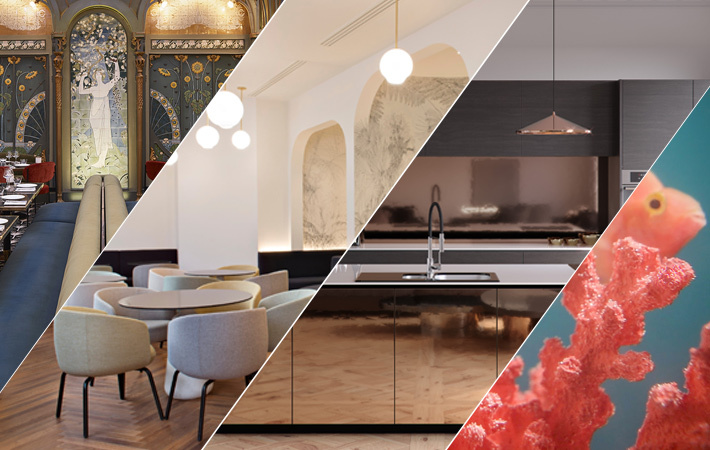 Don’t miss the exhibition I Saloni Worldwide, which will be held from 10 to 13 October in Moscow. 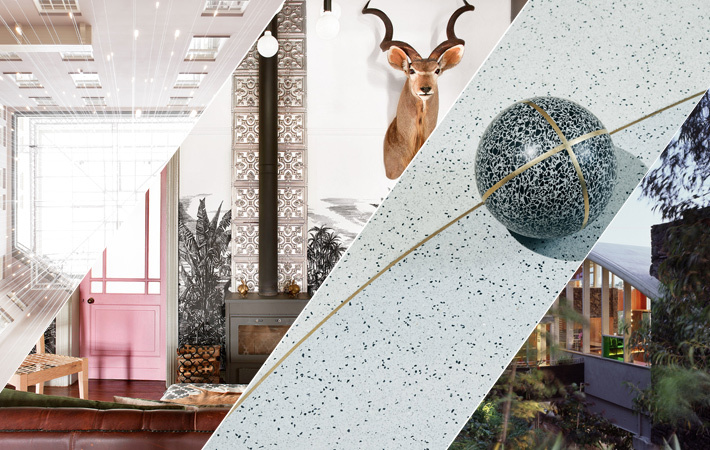 Earlier, we already wrote about iSaloni Worldwide Moscow 2017. 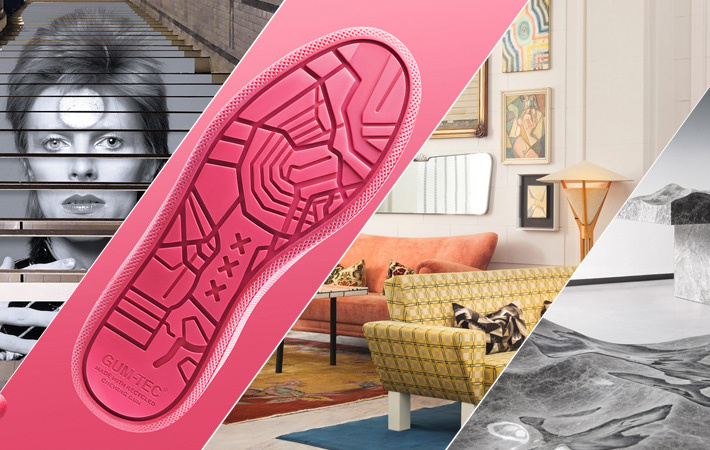 This is a digest for September in which we’ll tell about the reconstruction of a mid-century house, about a South African villa, about pieces of furniture from terrazzo, about apartments in the sky, about updating a hotel in Stockholm and about an actor’s house. We’re a little late with the release of text and video, because so much is happening, especially in the world of design. This is a digest for August, in which we will tell about a hotel in an old monastery, about a house with a sliding panel system, about a cozy apartment in Minsk, about tables of paper and rock dust, about furniture from New Zealand and about the new home of the most famous blogger in Sweden. The past month was “hot” for the events in the world of design, and we decided to publish everything that was not included in our issues in the Telegram channel. 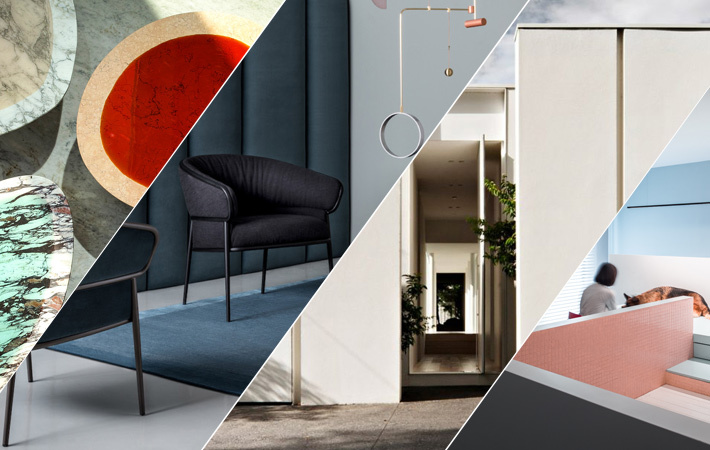 This is a digest for July, in which we will talk about a house for a disabled dog, about tables and lamps made of marble, about a garden inside a house, about furniture from an industrial designer, about an apartment in Moscow and about a small house in the San Francisco Bay area. The first month of summer flew by. Someone on vacation, someone is resting. 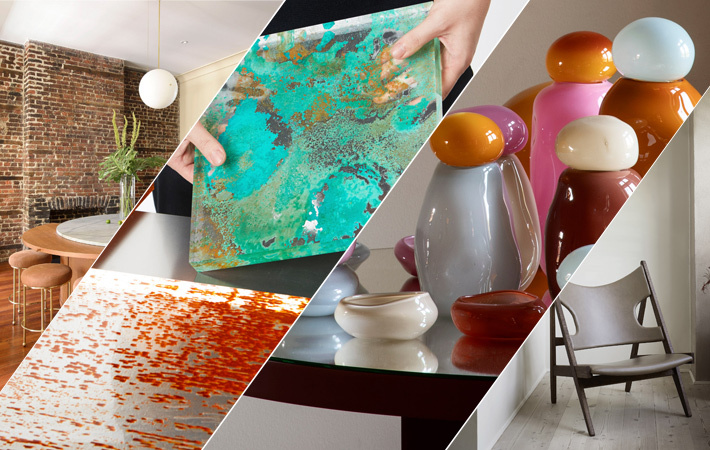 And we choose the best that has happened in the past month in the world of design and share with you. 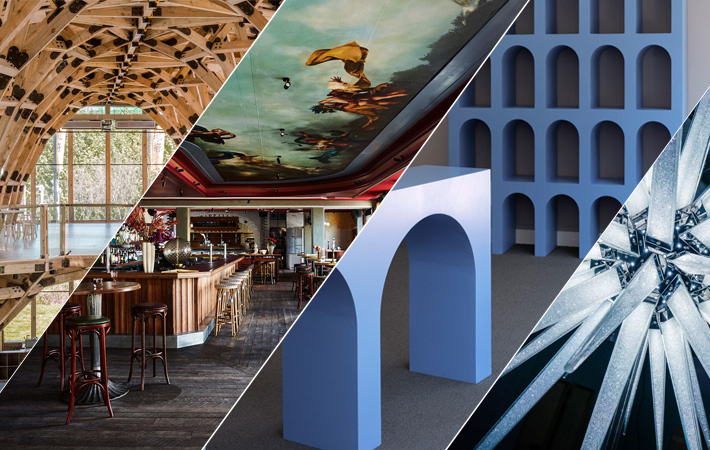 This is a digest for June in which we will talk about candy lamps, about a pasta chair, about a chair for knitting, about rust in glass, about a changeable restaurant, about an old mansion of the 19th century and about a Belgian house of the 20th century. 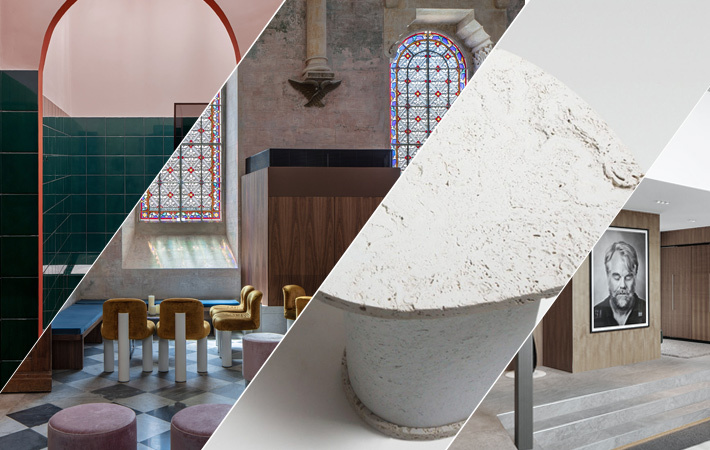 Over the past month, there have been many developments in the design world, including the Venice exhibition and exhibition in New York. We’re tired of choose because it is impossible to tell about everything. 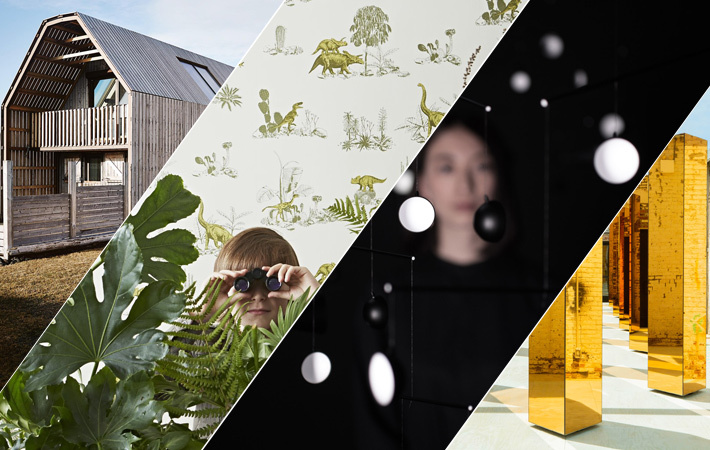 This is a digest for May, in which we will talk about the charity of field studies, about the spirit of the city and the pop-up showroom, about the barn house, about the acceleration of gravity on the surface of the moon, about the charming hand-drawn wallpaper and about the elegant apartment in Moscow. This is a digest for April in which we will talk about a ocean memories frozen in marble, about the lighting of public places in Paris, about the hotel in San Francisco designed by Kelly Westler, about the renovated “monastery” on St. Vincent place in Melbourne, about the metro station with David Bowie and sneakers made of chewing gum. This post and the video came out so late, because we had the flu (three times in one month). Despite the fact that all work was paralyzed, we found the strength and chose the most interesting events in the world of design. 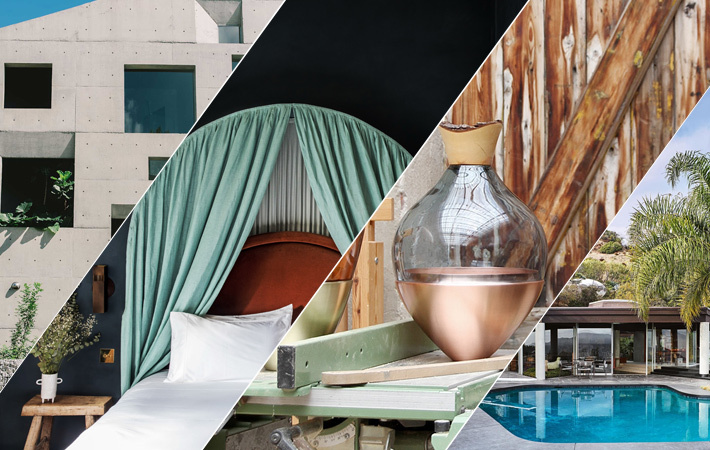 This is a digest for March in which we will talk about a house in a concrete shell, about a new material from desert sand, about “unconscious forms”, about vases, about a hotel in Paris and a house in Los Angeles.